Zipped out to our local car boot sale with Biba and Purdy (our Westie) this morning. Not a great haul but we did get this cool Big Eye print for 20p. 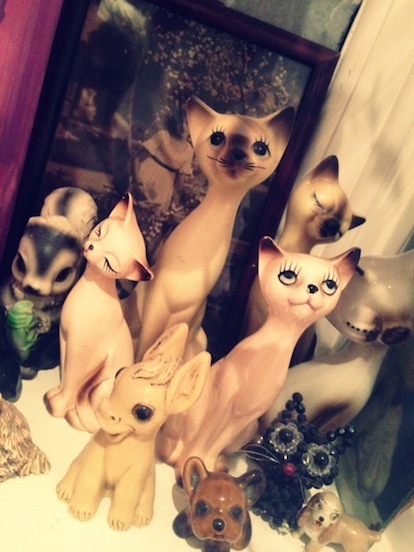 And the two cats at the front of the pic for 50p each, they fit perfectly with our collection that resides in the the bathroom. Did you buy anything good this weekend?